Steven Willis Vincent, age 61 of Leitchfield passed away on December 7, 2018 at Twin Lakes Regional Med. Ctr. He was born in Grayson County, KY., the son of Everett and Mary Rosalean McGrew Vincent and was married to Betty Ann King. He was an Independent Contractor, member of Claggett Baptist Church and loved to travel and fish. 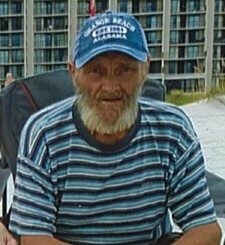 He is survived by his wife, Betty; two step-daughters: Linda Hack (Robert) and Barbara McCombs (Bobby); one step-son, Willie King (Tracy); seven Grandchildren; six Great-grandchildren; a special great-grandson, Gunner Hofmann; five sisters: Hazel Sherrill (Sig), Wilma Smith (Bill), Deanie Noonan (George), Diane Woody (Bobby) and Lowdean Carwhile; two brothers: Merle Thomas Vincent (Lisa) and Damon Vincent; one sister-in-law, Mary Beth Vincent; brother-law, Bobby Decker (Ethel) and sister-in-law, Ruth Decker.. He was preceded in death by his Parents; three brothers: James Vincent, Robert Vincent and Noah Vincent; one sister, Shirley Vincent and two infant sisters.